Congratulations to SienaB. for winning the Robert Sabuda pop-up book of her choice. She was chosen by Random.org and has 3 days to respond via email to claim her prize. If you do not respond within 3 days Siena you will forfeit the prize and a new winner will be chosen. Thanks to everyone who entered and made my first giveaway such a success! I hope that you all continue to follow me, and find my site helpful. If you have any reading-related questions feel free to post, I always answer! Also, stay tuned for an upcoming giveaway! As a mom and Reading Specialist, I am very aware that there is no specific age when children are ready to read. There are many factors to consider when trying to pinpoint if your child is ready to read. One tool I have found useful is from Reading Rockets. Their screening tool is very easy to use and is interactive and self-scoring. If you feel that your child may be ready to begin reading it is a great place to start. With that said, I hope you will use this tool as one assessment of reading readiness and not take it as you sole deciding factor for readiness. Click HERE to access the directions and screening tool. Check Out My New Pages! 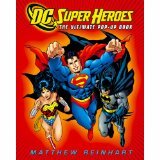 In case you are new or haven't visited MyReadingSpecialist.com in awhile, come by and check out my new pages. I am now offering consulting services, have a new 'Ask A Reading Specialist Page,' and I want to hear from you! 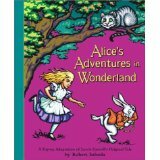 Also, don't forget the Robert Sabuda Pop-Up Book Giveaway is almost over! Sign up today for your chance to win before Friday! This first product from Lakeshore Learning is the Word Detective Slider. These cards are fantastic because they have 3-letter consonant-vowel-consonant words that can be sounded out by your reader on his/her own. It also helps with the various colors to distinguish between the beginning sound, vowel sound in the middle, and ending sound. It comes with a sheet of directions, and is easy enough for your reader to do on their own. 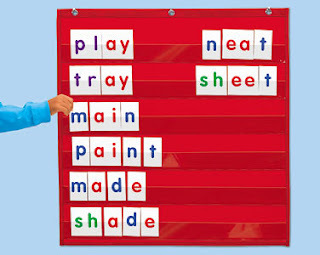 These letter are really good for building your own words, or for teaching your child to read if you are not sure where to start. I suggest starting with teaching CVC (consonant-vowel-consonant) words that have the short vowel sound in the middle (like cat, sip, cup, etc.). Once those skills are mastered you can move on. I suggest reading my post on My Kid Knows Phonics, Now What? for ideas of what skills to teach next. So it is official, my almost 4-year old son LoLo is reading (he will be 4 in March)! He can read the words the, and, a, and is from sight recognition as well as sound out any consonant-vowel-consonant word I give him (if it has a short vowel sound). This is showing that he is in the very early stage of reading. What is great is that he is enthusiastic and really wants to practice reading! Teaching Reading? This Website Is A Must! I remember the first day I became a teacher like it was yesterday. Years of preparation, a masters degree, and a year spent subbing, and still I felt like I was completely incompetent! My position title was Language Arts Specialist, and as such I should have the knowledge or "speciality" of knowing every aspect about Language Arts right? Wrong! Nothing you can learn in the classroom can ever prepare you for the actuality of teaching it to real students. So I decided to take it slow and just do baby steps. I thought about all the "stuff" I had learned and how I was supposed to "apply" it and...I kept hitting a blank wall! I talked to other teachers (who were very helpful), I practiced with real students, and I began to see what path to take; however, the light didn't click until about a few weeks into my teaching career. The big change...a website. A teacher at my school recommended that I look at a website which was created by another Language Arts Specialist who used to teach in my district (though I was not told that at the time). Her name is Cherry Carl, and her website Carl's Corner was my savior! It had all the materials I needed, but didn't know I needed. If that makes any sense! It starts at the very beginning with activities and worksheets for pre-readers, has materials for early readers, and some for more fluent readers as well. Honestly, there are so many materials for you to reproduce from her site that I can hardly mention them all. I think that every parent could use the resources within her site, and best of all they WORK...and even better they are free! A teacher at my school recommended that I look at a website which was created by another Language Arts Specialist who used to teach in my district (though I was not told that at the time). Her name is Cherry Carl, and her website Carl's Corner was my savior! It had all the materials I needed, but didn't know I needed. If that makes any sense! It starts at the very begining with activities and worksheets for pre-readers, has materials for early readers, and some for more fluent readers as well. Honestly, there are so many materials for you to reproduce from her site that I can hardly mention them all. features of text: capitalization, punctuation, etc. It is important that as a parent you help your child learn these skills BEFORE starting kindergarten. This way they will have the building blocks to understanding that words in a book have meaning and that they will be able to understand their meaning as they begin to become readers. This understanding is critical to creating eager readers. So with that said, the next time you read a book to your child, just take a minute to point out these features. Play a game with him, and hold the book upside down as you start to read. Do they help you turn it around? Read the words right to left...does it make sense? Sometimes appealing to their sense of humor helps them to understand that there is a right way and a wrong way to read a book. Hopefully this will transition over to them wanting to show YOU the right way to do it...even if they make up the story! So if you haven't yet read my article on Robert Sabuda (and his partner Matthew Reinhart) pop-up books, you might not know what a FANatic I am! I am determined to own every single one of his pop-up books, and with already 20 under my belt, I am well on my way. Now it is your chance to start your collection, because I know that after you own one you will never want to stop! The best part is you get to choose your book. 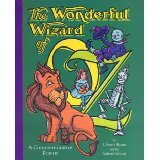 You can choose either DC Super Heroes, The Wizard of Oz, or Alice in Wonderland (all of which are my favorites!). This giveaway ends on February 25th, so make sure you get in your entry and let all your friends and family know. The winner will be chosen by Random.org. The winner will be contacted via email, and has 3 days to respond to confirm the win and give me their home address. If the winner does not respond via email within 3 days, another winner will be chosen. The book will be sent directly from Amazon.com to your home. Every year as Christmas time draws near, I begin to stress about what to get the kids that they would really enjoy and use. With 2 preschoolers in my house (2.5 and 3.5) I always have a hard time figuring out what they want. Asking is out of the question, given that every commercial they see on tv they want the product. This year I decided to do a little research and see what was out there as the next big toy. I found the iXL. I thought that my 3.5 year old would love it given that he loves Daddy's iPad (and can operate it without help). The iXL is by Fisher Price and is recommended for ages 3-7; however, it is easy enough for my 2.5 year old. What it is is a compact computer with a screen, speaker, and an attached pen. The iXL comes preloaded with one theme pack (monkeys) and you can purchase other themes for around $24.99. Each theme bundle included a read along story (which I love how it highlights the words as it reads), 2-3 games (educational and non-educational), a drawing pad (you can even upload your own images to draw on), and a writing pad (you can trace letters, write words, etc). The best thing about the iXL is that it is little kid tough! My kids have dropped it multiple times, left them open for the baby to drool on, you name it! I also worried that it would chew through batteries; however, the 4 AA batteries seemed to last through a lot of uses. I purchased mine for $69.99 on sale before Christmas, but the average retail price seems to be $89.99. I highly recommend this item to anyone with a young child. As a reading specialist, I love the features it has for reading books, the writing pad, plus the fact that my kids played with it for over an hour on the first use! 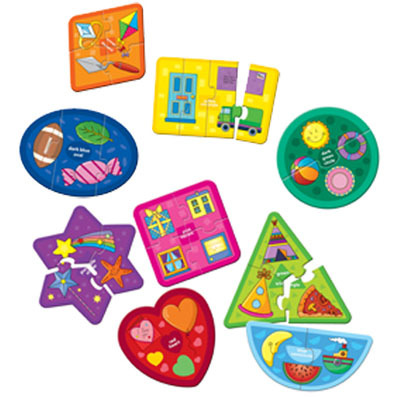 I am always looking for puzzles and games that have educational components that my soon-to-be 4 year old will also find entertaining. One brand that I absolutely L-O-V-E is Infantino! I knew that they made a lot of different baby items I liked, but I had no idea they made puzzles until I found one at a local discount store. The packaging caught my eye, with its cute little yellow box with bright pictures of the puzzle pieces on the front, and an actual puzzle piece attached to the handle. Seeing the puzzle piece was fantastic because it allowed me to see that the piece was large enough for my preschooler, and strong enough to even stand up to the baby chewing on it (which we try to avoid, but sometimes it just happens)! 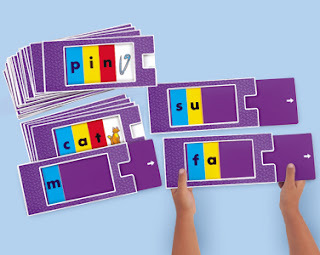 The 20 Word Picture Puzzle is great for early readers in that it allows them to build 3 and 4 letter words which can be sounded out phonetically to match the picture clues. The Matching Colors and Textures puzzle. This one is one of the best and great for ages 2.5 and up. I like that it teaches kids about different textures through pictures as well as actual fabrics and objects they can touch. Such as, the fuzzy card has a fabric swatch built in. Same with the bumpy one and the shiny one. The My First Color Puzzles is a great one, but I find it has a misleading name. I think this puzzle is great for ages 2, 3, 4, 5....and anyone really! 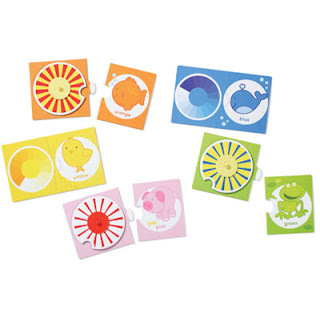 Most of the cards have a color wheel with two different colors. 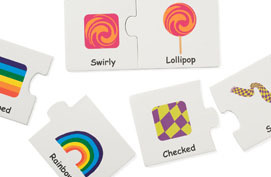 When you spin the wheel it makes the coordinating color that matches to connecting piece (see picture), so it is also great when teaching older kids how to combine colors to make new colors. They also make many other puzzles, see their website for more : http://www.infantino.com/. These ones above just happen to be my favorites! Have A Reading Question? Ask A Reading Specialist. Hi everyone! I am encouraging you all to post any reading questions, concerns, comments or stories you may have related to any reading issues you yourself, your child, or student is facing. I want to hear what YOU have to say, and help answer any questions you may have so that you (or your child, student) can be a successful reader! As a certified Reading Specialist, and mom to four kids, I know how crazy and hectic life can be and sometimes working with your child in reading can take a backseat. I offer many services for all levels of readers to give you a hand in pinpointing areas of weakness and building up reading confidence.